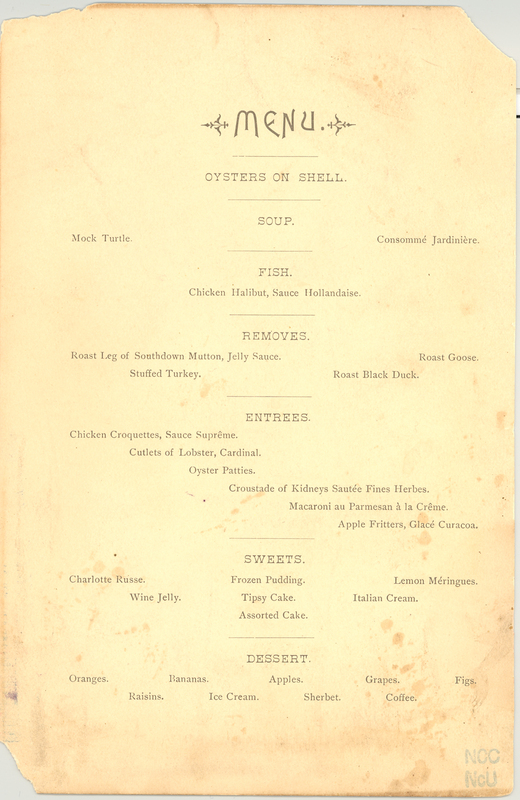 14 December 1862: Program for a reunion of the Forty-fifth Massachusetts Regiment, held on 14 December 1887 in Boston, Mass. 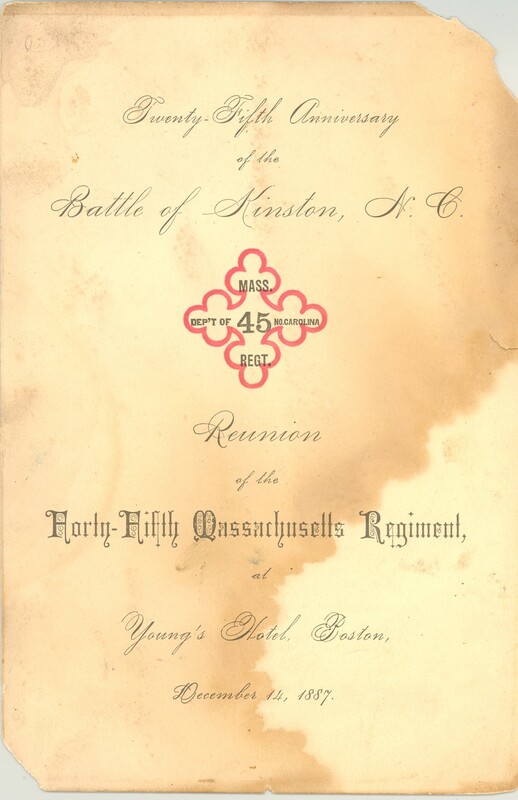 Item description: Program for a reunion of the Forty-fifth Massachusetts Regiment, held on 14 December 1887 in Boston, Mass., on the 25th Anniversary of the Battle of Kinston (N.C.) (fought on 14 December 1862). 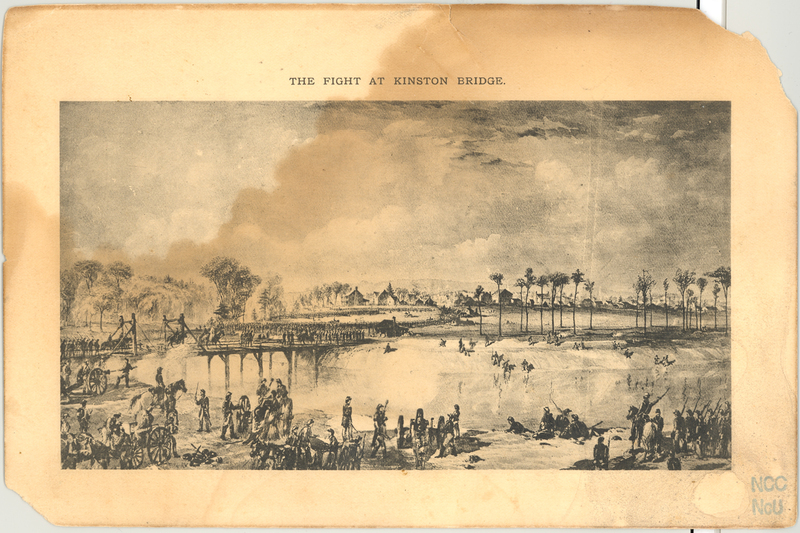 Item citation: “Twenty-fifth anniversary of the Battle of Kinston, N.C.: Reunion of the Forty-fifth Massachusetts Regiment.” (Boston, Mass. ), 14 December 1887. North Carolina Collection, call number: Cb970.742 M414t. Wilson Library, University of North Carolina at Chapel Hill. 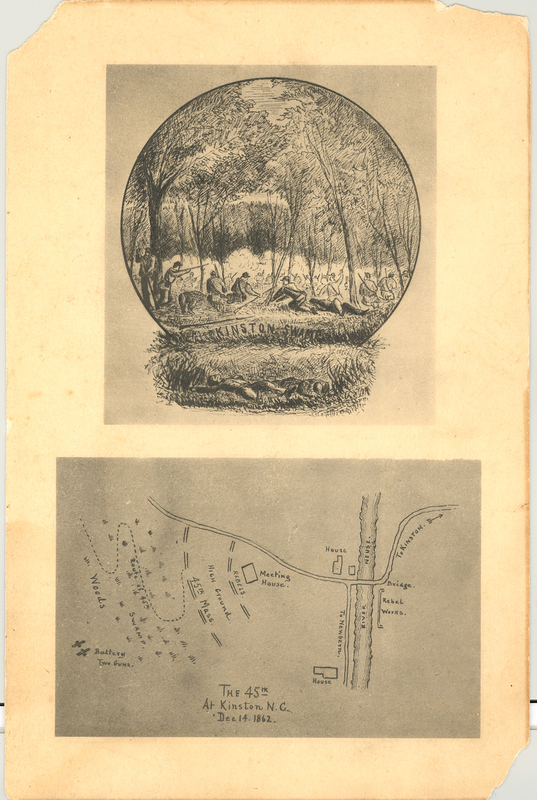 This entry was posted in North Carolina Collection and tagged 1887, 45th Massachusetts Regiment, Battle of Kinston, Kinston, Massachusetts, North Carolina, reunions, veterans. Bookmark the permalink.